OK, there’s Valentine’s Day, but other than that it’s just a month you have to get through in order to get to the other side of winter and start dreaming of cute little lambs and chicks and bunnies. So to make my month a little less sucky (spellcheck is telling me that’s not a word??? 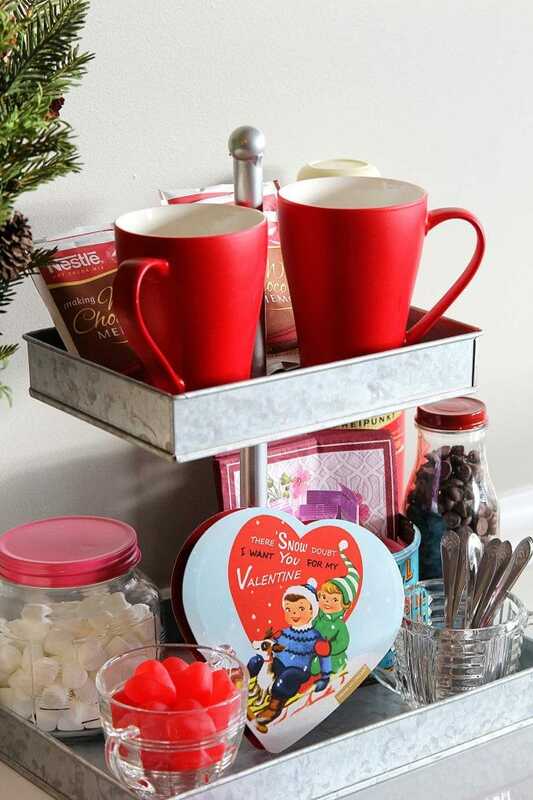 ), I made myself a cheerful little Valentines Day Hot Chocolate Bar. I bought the two-tiered galvanized tray at Jo-Ann’s with a 1/2 off coupon a few weeks ago ($9.99 with the discount). I tried to find it online for you, but it’s not showing up on Jo’s website for some odd reason. 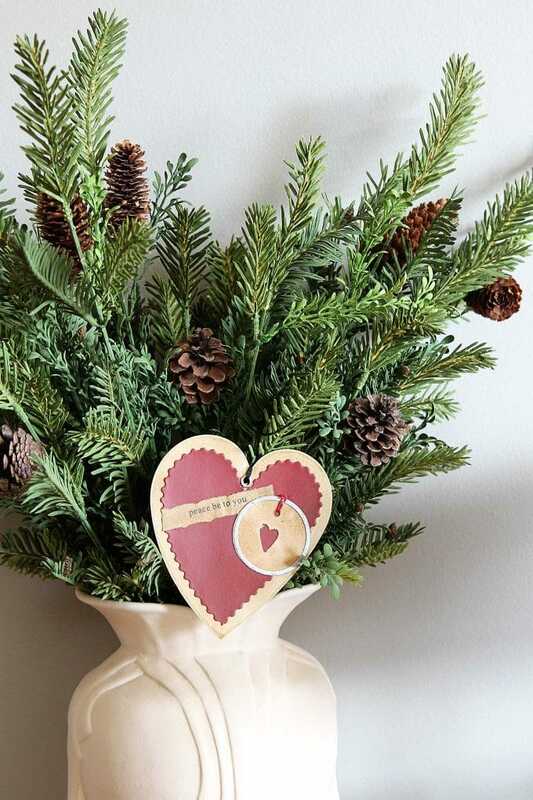 Did you spy that little vintage-inspired heart shaped box of chocolates? I bought it at Meijer’s, which is a grocery superstore in the Midwest, similar to a Walmart Supercenter or Target but with cooler stuff. The candy is made by Elmers Chocolates out of Louisiana. Not sure if they’re sold in your neck of the woods, but I sure do hope so! They had a few more designs, but I ended up buying the kids on the sled, the adorable little deer and the buckin’ horse/donkey/pony. I actually wanted to be a vet at one point in my life, so I really should know which it is. The greenery in the vase is left over from Christmas. I always leave a little bit of generic greenery out after Christmas, so my house doesn’t go from Festive Holiday House to Gloomy Winter House all in one fail swoop. I didn’t put a ton of toppings out for the hot chocolate, just marshmallows and chocolate chips. The red gummy hearts are just for looks. And for eating after you’ve eaten all things chocolate. The marshmallow jar is an Anchor Hocking cracker jar from Walmart and it comes with a silver lid. I just spray paint the lids for whatever season I’m into at the moment. Green or red for Christmas, blue for 4th of July and pink for Valentine’s Day. This lid is on its 4th coat of paint! I put the gummy hearts and some stirring spoons into a few cut glass sugar bowls I found at estate sales. 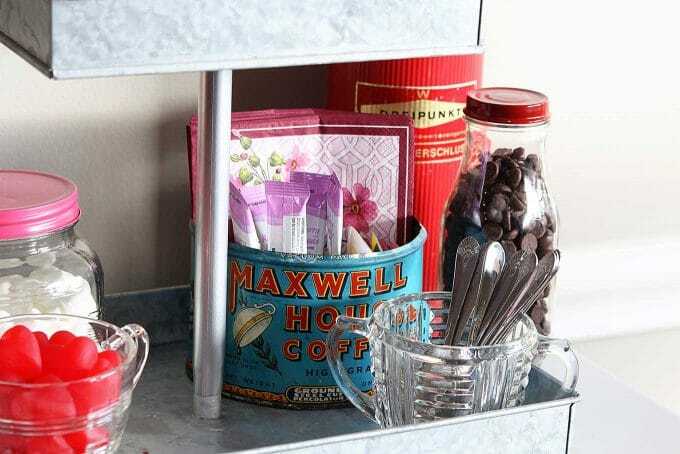 And napkins, tea and low-calorie drink mixes in a old coffee tin. Low-calorie drinks go so well with chocolates. 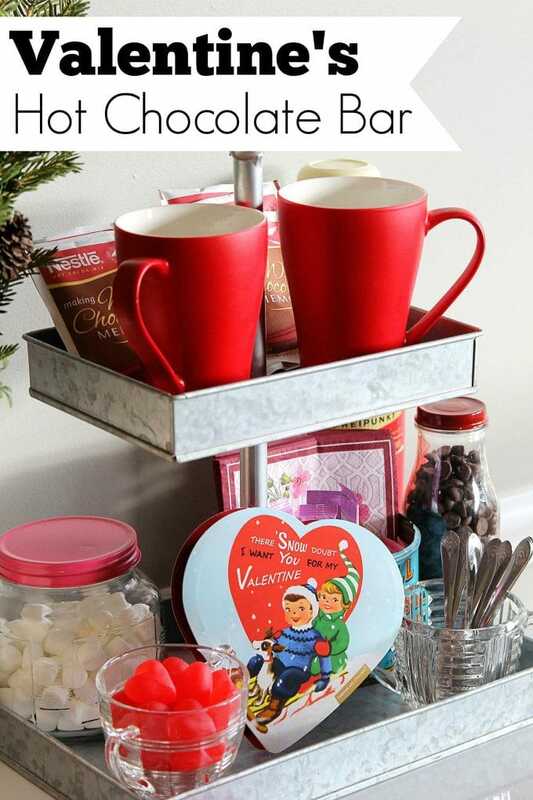 So, let’s make a list of things you may want to add to your own Valentines Day Hot Chocolate Bar. OK, go forth and get your chocolate groove on. If hot chocolate can’t save us from February, nothing can! I love your cheery and sweet Hot Chocolate bar! 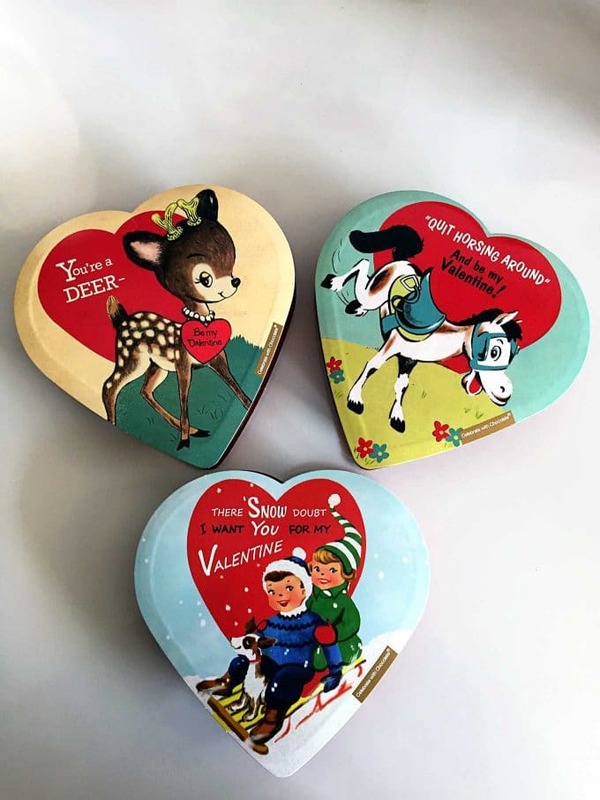 And those retro Valentine candy boxes are adorable. I doubt they have them here in NY, but I sure do hope I can find them! Have a happy February! That’s cute Pam. Wish we had Meier’s here, but I’ve been in one. They are cool stores. The red lid saga…interesting! Pinned. Ha ha – sucky! Yup, that about sums up the month I was born in. Thanks for the cute bar idea! I love your sweet Hot Chocolate Bar. Super cute, fun and festive. Love those vintage design valentines from Meijers. I am going to check that out. They are really fun and cute. Very cute, and fun-ctional, too! Love the vintage inspired candy boxes! And sucky perfectly described both January and February in my book! Hi Pam – we don’t have all that cool stuff here in Ontario, Canada. Was wondering if you could tell me the dimensions of the 2-tiered galvanized stand. Total height including middle pole, length, width, and height of each tray. Thinking I can have our sheet metal guy make me one 😉 Thanking you so much! The base is 9″ x 12″, the middle tray is 6″ x 8″ and then each tray is roughly 1 1/2″ deep. It’s 14 1/2″ tall (from the very bottom to the top of the pole). It can sit on my kitchen counters and still be able to slide under the upper cabinets which is what I liked about it. 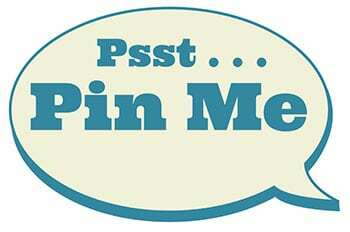 Thanks Pam for the additional info – do you happen to have a pic of it without anything on it? That way I can show him that with the dimensions. Thanks so much for sharing this wonderful idea. It’s what I’ve had in my head, but was unable to make tangible until now. I will be on a search for the vintage chocolate. I checked the Elmer’s Chocolate website and there is a long list of stores that sell their chocolates, and there are several in my area. Wish me luck! Hope you can find them!!! Like that galvanized tray. perfect for displaying so many things. Well, you’ve thought of the perfect pick-me-up for the dreary (but short) month of February, Pam. Your little hot chocolate bar would have me stopping 10 times a day to eat the ju ju hearts- my favorite! The good thing is that you get to bring all your vintage red out to play again. Well done! 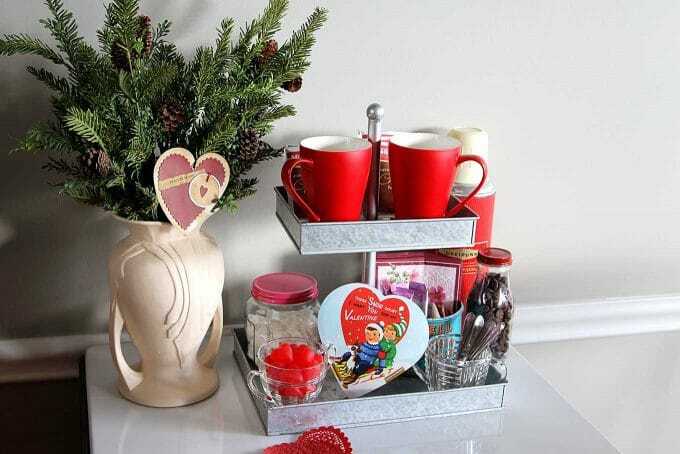 Love your Valentine display, I have a similar galvanized stand so I may try a similar display. I just happened to pick up those vintage heart candy boxes this week (my Meijer has them on sale for $1!!) For the price I was suprised how yummy the chocolate is, no I couldn’t resist! Happy Valentine’s Day!!! 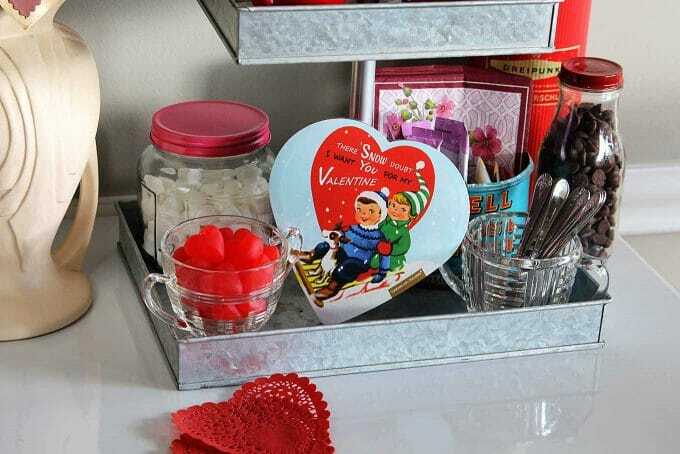 I love your fun cocoa bar, Pam…the valentine candy boxes are so cute! All of your ingredients look delicious! Not me, but Carrie from Making Lemonade has a basic one here – http://makinglemonadeblog.com/best-homemade-furniture-chalk-paint-recipe/ . This is so dang cute! My husband and I are not coffee drinkers so I always feel left out when I see these gorgeous diy coffee stations. Thank you for bring hot chocolate to the table. 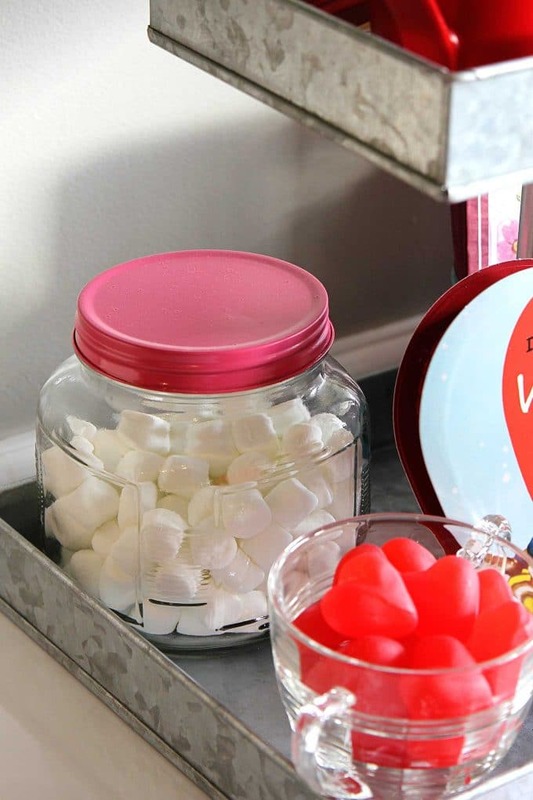 I will definitely be able to create something similar although those candy hearts will be eaten up pretty quickly, and I don’t have any of those cute vintage pieces. Something to keep an eye out for next time I go thrifting.